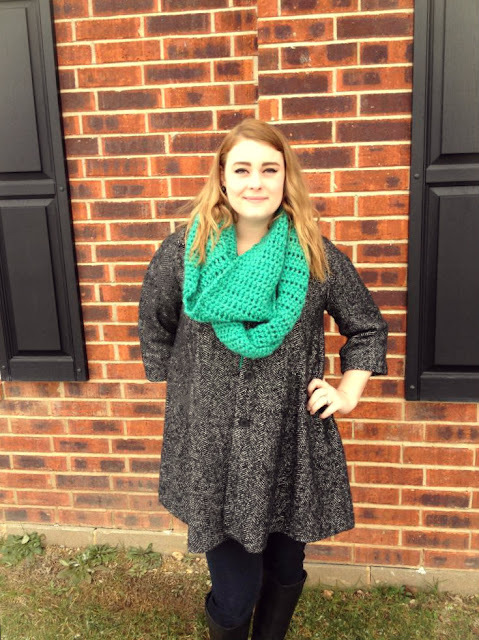 Today is sort of a outfit post // shop update! Over the holidays I took a little break from the shops so that I could stock up on all sorts of lovely goodies. 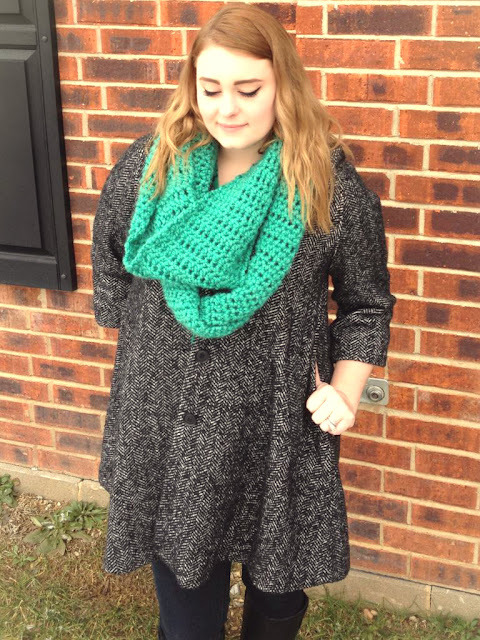 I thrifted, knitted, and crocheted day and night! I'm not quite done with everything, but new things are going to be trickling in all week. GypsyBeeeVintage will have a ton of new housewares being listed, so if you're a vintage lover stop on by throughout the week and the handmade store will be re-opening with all new items as well. 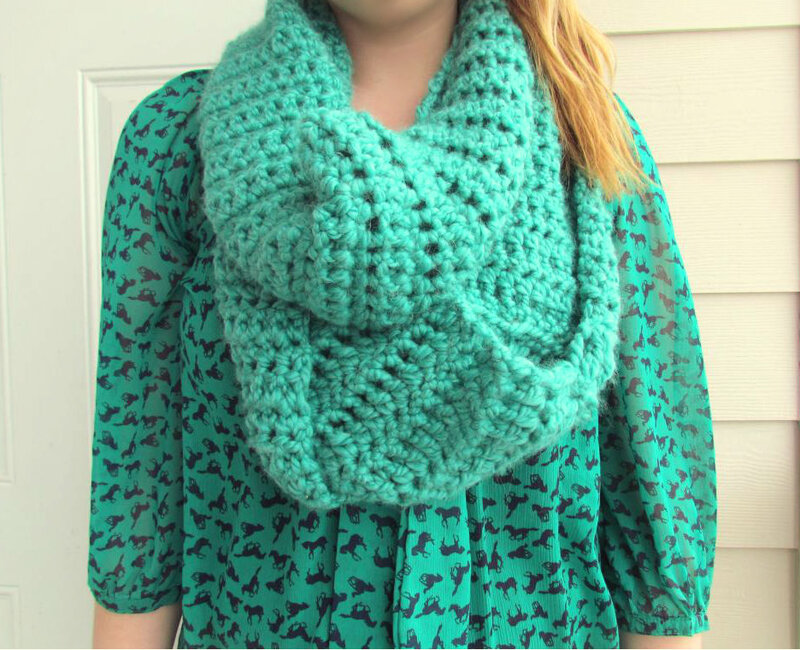 One of the new items that will be listed in my handmade store is the chunky spearmint infinity scarf I'm wearing. It is literally new favorite accessory. It's so long you can rap it twice for the look shown or three times for a more snug fit around your neck, perfect for when it's really cold. This scarf will be available in a few different colors such as mustard and copper. Coat // H&M, last season. This style scarf will also be listed in the shop. 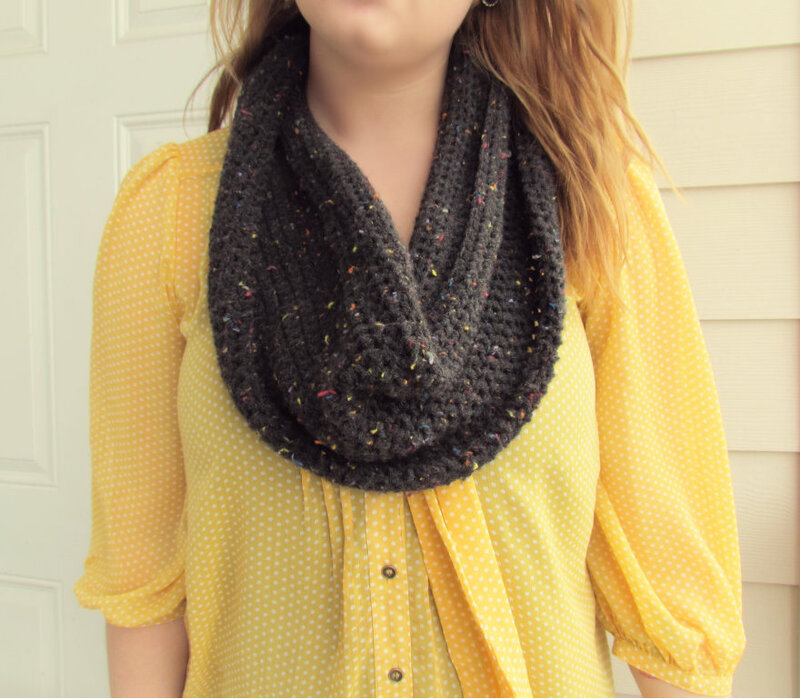 It's a smaller and less bulky scarf, perfect to jazz up any outfit, this style will also be available in many colors. What other new things would you like to see come to my shops? Let me know!